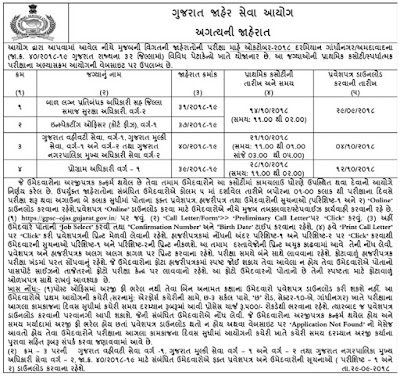 Gujarat Public Service Commission (GPSC) Class 1 & 2 Call Letter 2018 Out. Advt. No. 40/2018-19. Indiaresultsonline 2018: Find Results of Board Exams, Jobs Exam, Recruitment Exam, Bharti Exam, Entrance Exams, Competitive exam. Indiaresultsonline Blog will show you how to get your exam results online. 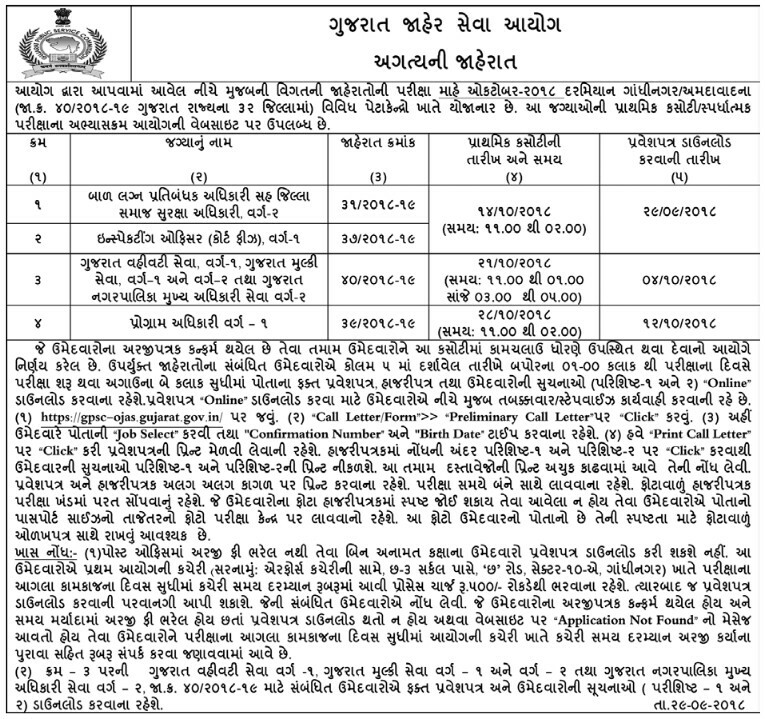 Check GPSC Class 1 2 Call Letter 2018 (Advt. No. 40/2018-19) online at www.indiaresultsonline.net in just single click.